The new track-ready car could finally silence doubters that the RC F isn’t as sharp as rivals such as the Audi RS 5, BMW M4 and Mercedes-AMG C63 Coupe. All RC F coupes for 2020 feature revised styling, improved aerodynamics, stiffer suspension bushings, and reduced weight over the previous model year. They also see the familiar 5.0-liter V-8 benefit from 5 extra horsepower and 6 more pound-feet of torque, bringing the numbers to 472 horsepower and 396 pound-feet. This is joined by a higher final drive ratio for the standard 8-speed automatic transmission, which together with a new launch control system sees the 0-60 mph time come in at a brisk 4.2 seconds. 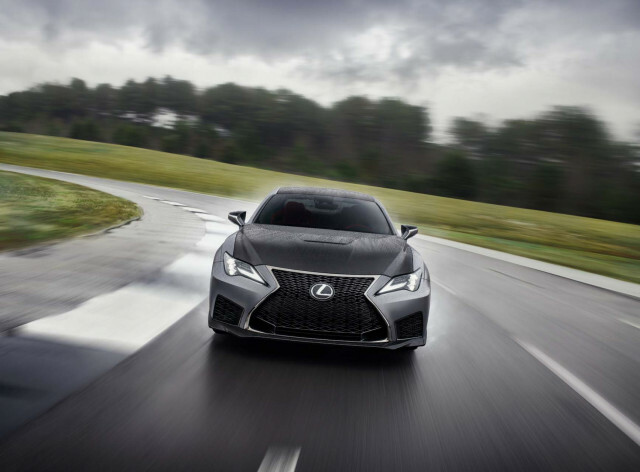 Opt for the RC F Track Edition and you’ll see the 0-60 mph run take just 4.0 seconds, even with the car’s 472-hp rating matching the standard RC F. The key is a diet rich in carbon fiber and lightweight 19-inch alloys, the latter also helping to reduce unsprung mass. 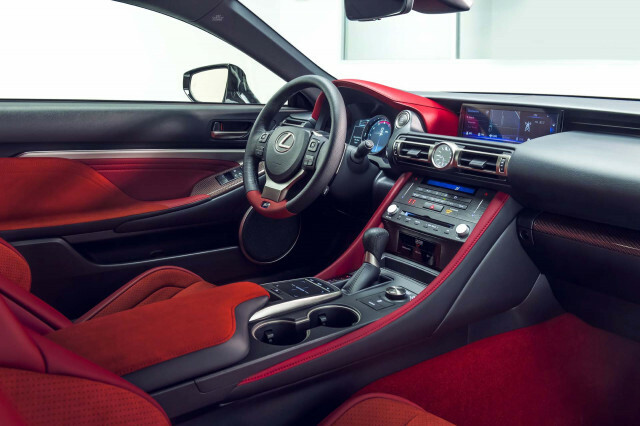 According to Lexus, the RC Track Edition weighs 176 pounds less than the RC F, which itself has been made lighter than last year’s model via hollow rear half shafts, aluminum suspension brackets, a pared-down intake manifold and a smaller air conditioning compressor. Other upgrades for the RC F Track Edition include carbon-ceramic brake rotors, a titanium muffler, an aggressive front splitter, and a fixed rear wing. Inside the car, plush leather in a red hue is standard along with Alcantara seat accents and red carbon trim on the doors and dashboard. Lexus will also offer the car in white or gray only, both of them exclusive to the model. 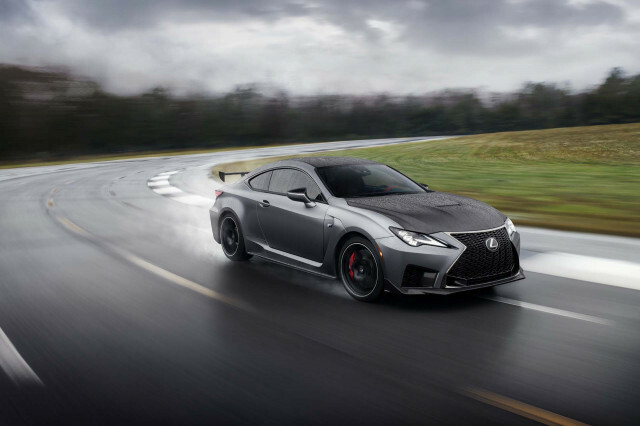 Lexus said the RC F Track Edition was developed using lessons learned from racing versions of the RC F entered in IMSA series and Japan’s Super GT series. The 2020 RC F will be built in the second quarter of 2019. This means we should see the cars in showrooms by late summer, although Lexus hasn’t said how much they’ll cost. Lexus also used the Detroit auto show for the debut of an LC Convertible concept. The stunning drop-top not only looks production-ready, but according to Lexus’ own words it hints at the future direction of the LC range and serves as a halo for the brand.